Nikon news, updates, rumors, and product reviews. the Nikon Nikkor 800mm f/5.6 lens Super Telephoto announced. TOKYO - Nikon Corporation will add the super-telephoto 800-mm, fixed local length lens to its lineup of NIKKOR lenses. This lens will offer a fixed focal length of 800 mm, a maximum aperture of f/5.6, and will be fully compatible with Nikon FX-format cameras. This lens has been developed in order to strengthen the NIKKOR lineup of super-telephoto lenses. It will boast the longest focal length of any NIKKOR autofocus lens, and will be best suited to capture of a wide variety of decisive outdoor scenes, from sporting events to wildlife. In addition to its superior optical performance, the lens will offer dust and water resistance. In 2012, Nikon released three new FX-format digital-SLR cameras—the D4, the new flagship digital SLR, and the D800 and D800E, which offer incredible resolution and image quality. In addition to reinforcing its lineup of FX-format digital-SLR cameras, Nikon has also been working to expand the lineup of NIKKOR lenses. Nikon has been providing service and support to professional photographers for roughly fifty years through the activities of its Nikon Professional Services (NPS). In addition to providing maintenance and repairs for the equipment professional photographers use every day, NPS service depots are set up at a variety of international sporting and cultural events. At these service depots, photographers can have their equipment inspected and repaired, and they can also borrow equipment. Nikon has been also an official sponsor of The Open Championship since 1993. The Open Championship is the oldest of the world's four major tournaments* in professional golf (the next Open Championship will be held at Royal Lytham & St. Annes Golf Club in Lancashire, England between July 19 and 22, 2012). This lens is scheduled to be on display at the Nikon service depot that will be set up for professional photographers working at the event. Furthermore, this lens is scheduled to be on display at Photokina 2012, one of the world's largest photo and imaging exhibitions, to be held in Cologne, Germany from September 18–23, 2012. As a leader in the professional imaging market, Nikon will continue to develop and release products offering superior performance and functionality based on the optical technologies it has cultivated over its long history. Nikon will also continue to strive to strengthen and improve the service and support it offers to its professional customers. Release date and suggested retail price for this product have not yet been determined. *Specification and equipment are subject to change without any notice or obligation on the part of manufacturer. Exterior finishing and design are not final. 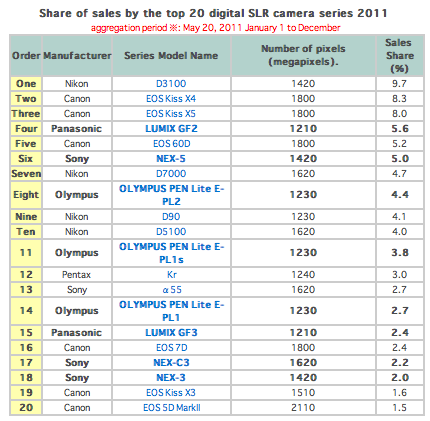 Can Nikon D3200 beat D3100 as best seller DSLR in Japan for 2012? Have you ever heard of the news that Nikon D3100 is the Japan Best Seller DSLR in Japan for 2011? We have recently read that BCNranking published their sales statistics and the best selling DSLR camera in Japan for 2011 is the Nikon D3100 with a 9.7% sales share. Why that's quite a lot of demand for a beginner's camera. Does this means that is this the reason why Nikon upgraded it's new big brother, the Nikon D3200 because of the demand in the market ? I think so. Well, that's good news for use as we got plenty of pixels, a good beginner's camera with a good price as well. They really give a shine for the new beginner's line-up, which is the Nikon D3200. Nikon D3100 is currently the #5 top selling DSLR camera on Amazon. You can also check the price for the Nikon D3200 at amazon below. 1. Nikon D3200 Sensor is made by Nikon or Sony? Format memory card can now be added to My Menu. Gamut for Adobe RGB images displayed in the camera's monitor has now been changed. This enables more vivid display of images. The stability of network connections when the FTP upload option is selected has been increased. When recording movies using a lens with an aperture ring in [P] or [S] exposure mode, and Aperture ring selected for Custom Setting f10: Customize command dials>Aperture setting, the minimum aperture was applied. This issue has been resolved. When a still image captured during movie recording with 1920 ×1080; 30 fps; crop, 1920 × 1080; 25 fps; crop, or 1920 × 1080; 24 fps; crop selected for Movie settings>Frame size/frame rate and Live frame grab selected for Custom Setting g4: Assign shutter button was displayed in Capture NX 2 or ViewNX 2, the position of the focus point displayed differed from actual recording position. This issue has been resolved. An issue that caused the camera to freeze when attempting to format a memory card (setup menu > Format memory card) while the camera was connected to a network in HTTP server mode has been resolved. 1. 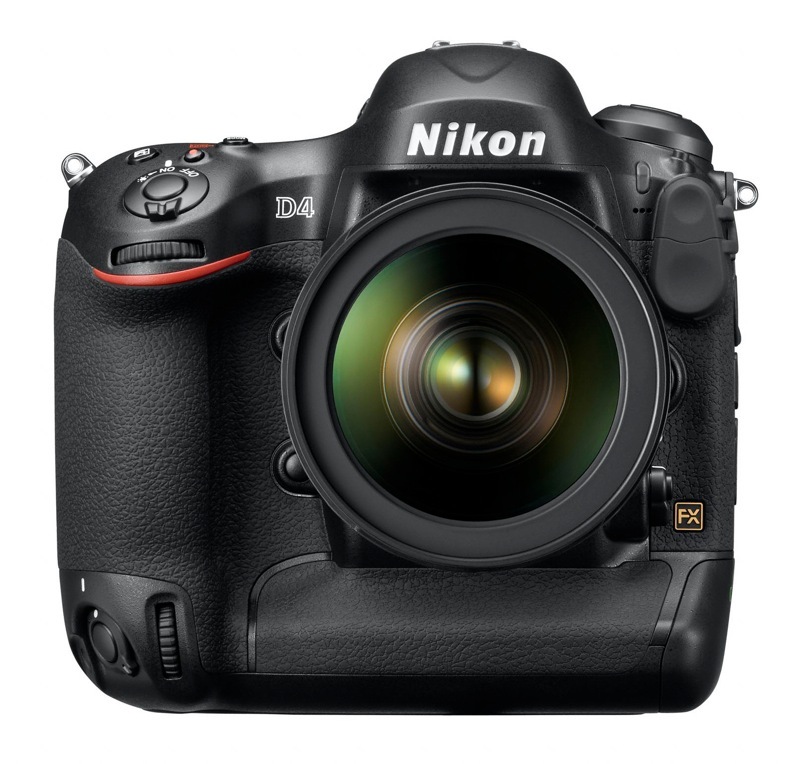 Nikon D4 Review & Unboxing: IT'S A BEASTMASTER! Nikon 18-55mm f/3.5-5.6G AF-S DX VR Nikkor Zoom Lens Review: Worth Buying? Nikon 18-55mm f/3.5-5.6G AF-S DX VR Nikkor Zoom Lens. Is it worth it? Hello guys, today we're gonna talk about the Nikon 18-55 mm f/3.5-5.6G AF-S DX VR Nikkor Zoom Lens. So the first question that's in your mind, is this a good lens? We'll if you ask me, I'm gonna say yes. I will tell you later why it is a good buy. Especially for the young aspiring photographers. Even I heard that some pros like Chot Touch keeps it in his camera bag for street photographing. So i guess there must be a reason why these pros keeps this lens in their bag right? But of course most of the time street photographers like to use the wider lens like 10-14mm, 24 mm lens etc. This is probably because they wanted to capture the scene of the surroundings. This is when the nikon 18-55mm comes to the rescue. This works beautifully for general photography. You can go for wide and close-up shots as wellwithout ever have to think of changing your lens. Super Integrated Coating offers superior color reproduction; silent Wave motor ensures fast, quiet AF operation. Below are some of the key features of this lens. Compact 3x zoom lens covering the most frequently used focal range of 18 to 55mm. Optical design, optimized for use with Nikon DX-format D-SLRs for superior performance. 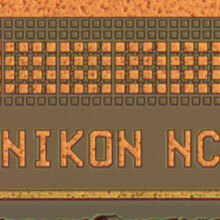 High-performance Nikon Super Integrated Coating (SIC) offers superior color reproduction, while substantially reducing ghosting and flare. Rounded seven-blade diaphragm opening makes out-of-focus elements appear more natural. Separate zoom and focusing rings ensure responsive operation. Nikon VR (Vibration Reduction) image stabilization, engineered specifically for each VR NIKKOR lens, enables handheld shooting at up to 3 shutter speeds slower than would otherwise be possible, assuring dramatically sharper still images and video capture. Hybrid aspherical lens element minimizes various types of lens aberration. 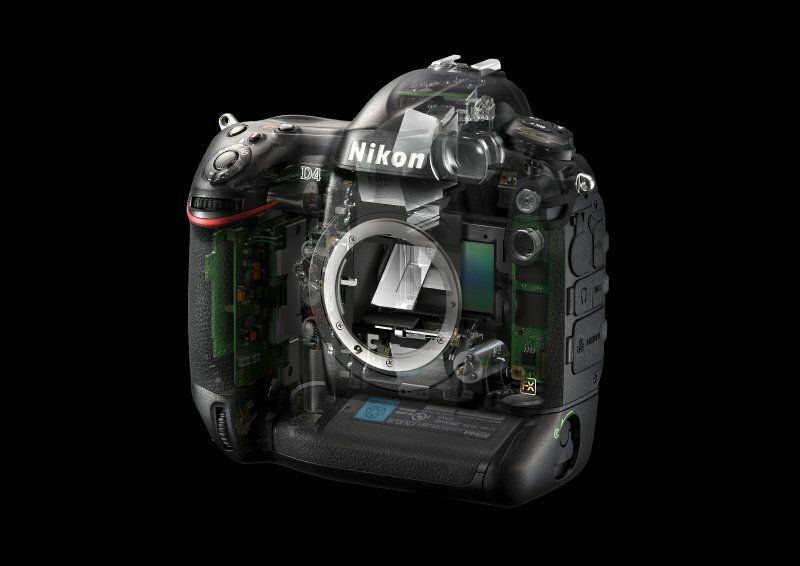 Nikon's exclusive Silent Wave Motor (SWM) ensures fast, quiet auto focus operation. Close focusing distance to 0.9 feet (0.28 meters) throughout the entire zoom range. you can also get at the price of $199.00 & this item ships for FREE with Super Saver Shipping. NASA's Engineer, Don Petit Brings Nikon Gear in ISS! 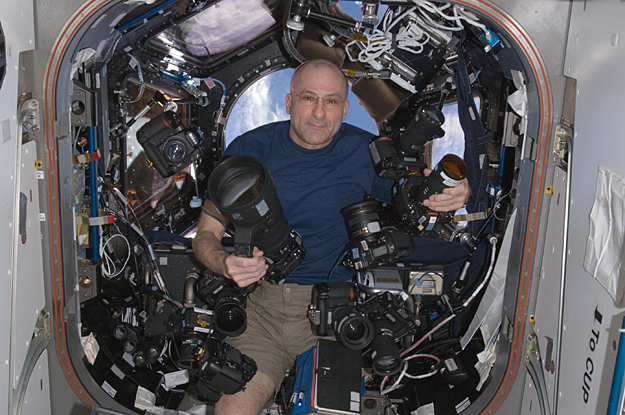 Here's a picture of NASA's Astronaut, Don Petit on board at the ISS with a bunch of his own Nikon DSLRs and Lenses. Don Petit is a flight engineer in the Expidition 31. From the looks of this, he could get drowned with all the cameras that he bought. This is when one call, when one is not enough. lol. Can you spot how many cameras and lenses that this guy brought to space? Nikon D4 Review & Unboxing: IT'S A BEASTMASTER! So I guess most of you usually want the geeky information stuff for the Nikon D4 specification. And I looked it up on the internet and here's what I found. Have you seen the Nikon D4 Unboxing yet? For all Nikon fans out there, I think most of you already watched this video of Matt Granger from That Nikon Guy. Wooahh after an agony of 4 minutes and 5 seconds waiting, the BEAST is revealed. Thanks Matt for the video unboxing. Making us crave more as we don't have it in our hands. Nikon D3200 Sensor is made by Nikon or Sony? A few days ago I have a question by the readers and they told me that is it true that the Nikon D3200 sensor is also made by Sony? For all the readers that doesn't know yet, this rumors come from the previous model that the Nikon D7000 sensor is made by Sony and it's true that Sony manufactured the sensor for D7000. It's also a shocking news but hey the important thing is it does a great job. But to answer the question whether the Nikon D3200 is made by Sony, the answer is that it's not true. So most of you might want to know which camera has the sensor from Nikon and does not? 1. Nikon D3200 24.2 Megapixel DX Format CMOS Review: The ULTIMATE entry level DSLR? Nikon D3200 24.2 Megapixel DX Format CMOS Review: The ULTIMATE entry level DSLR? Nikon D800E Now Available at Amazon!